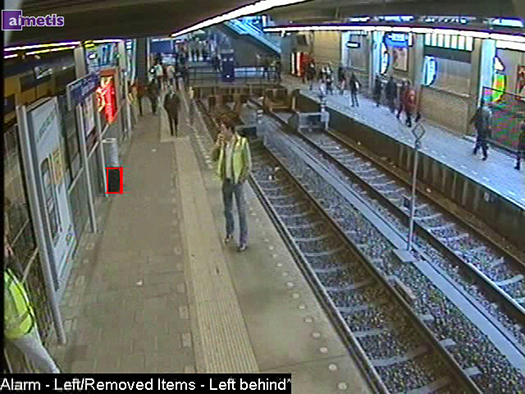 Monitor important and left items with the power of the Left and Removed Item Detection (LRID) video analytic pack. Packages, suitcases, and backpacks that have been erroneously or purposefully left in a public space has become a major challenge for police and security teams. Left items pose not only a threat to physical safety, but can shut down vital transportation hubs and cause significant disruptions until the item’s owner can be tracked down. LRID helps solve this problem, quickly and efficiently. When combined with the power of the Senstar Symphony video management system (VMS), the LRID video analytic pack enables security administrators to quickly identify items that have been left. By using alarm notifications, security administrators can establish rules for push notifications with the VMS or be sent to specific security personnel. The same analytic can be used to help monitor important items that should not be removed. By selecting a stationary item in a scene and establishing the LRID analytic, security teams can easily defend against property and asset losses. If the item is removed from the scene, an alarm can be triggered alerting security staff to the item’s removal.